Winsor McCay might be Spring Lake’s most famous resident – and chances are, you haven’t even heard of him. Raised in the village, McCay was a self-taught artist who many call the “Father of Animation.” He demonstrated an early aptitude for drawing, which often got him in trouble with his teachers at the Spring Lake Union School, that would shape his life. 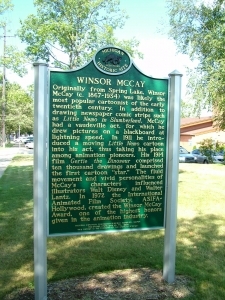 While his father tried to steer McCay to business school, Winsor struck out on his own and began a supremely successful career in drawing. Beginning with caricatures and circus advertisements, through the years McCay’s fame and skill grew until he was one of the most important illustrators for William Randolph Hearst’s publication empire and a pioneer of animation. This untrained artist from Spring Lake, Michigan was compared by his biographer to artistic luminaries, Albrecht Dürer, Honoré Daumier and Gustave Doré. But his influence today is felt and seen more readily in video games and every animated movie or television show by Walt Disney Studios, Pixar, Dreamworks Animation, Cartoon Network, Nickelodeon and the flood of anime from Japan. After moving on from drawing advertisements, McCay drew political and editorial cartoons for the major papers of his time, including the Cincinnati Enquirer, the New York Evening Telegram, the New York Herald and William Randolph Hearst’s papers, principally The American and the New York Journal. 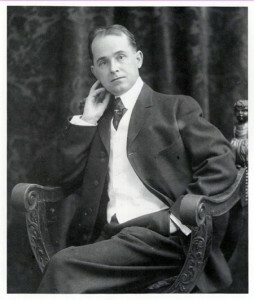 He also developed a number of successful serial comic strips, including the wildly popular “Little Nemo in Slumberland” and “Dream of the Rarebit Fiend.” As a pioneer in the comic medium, and while producing the over one million drawings he made during his lifetime, McCay discovered an affinity for drawing objects and characters that suggested they were in motion. 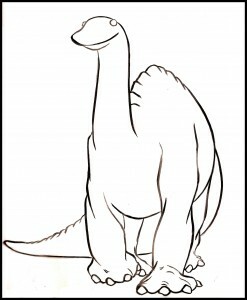 This talent would lead him to his next breakthrough work in animated films. In the first decade of the 20th century, McCay began experimenting with animation to produce films to show in his Vaudeville act. While he wasn’t the first to work in this medium, he referred to himself as the “Father of Animation.” This moniker may not be technically correct, but it is certainly true in spirit. While others were working with crude line drawings and simple material, McCay was telling narrative stories and often drawing in the same lush style as his comics. After McCay, it would be over three decades before anyone would rival his sumptuous, fluid animation style. Those successors were none other than the fine animators of Disney Studios. Walt Disney himself acknowledged McCay’s crucial contributions to the field that would help him build the Disney empire, as did Warner Brothers cartoonist, Chuck Jones, creator of Bugs Bunny, Elmer Fudd, Porky Pig and other beloved characters, who said, “The two most important people in animation are Winsor McCay and Walt Disney, and I’m not sure which should go first.” McCay’s enduring influence in the fields of cartoon drawing and animation cannot be overstated. He is a national treasure, and he is certainly a Spring Lake treasure. We invite you to further explore McCay’s life, his newspaper comics and his animated films through our online exhibitions and links.